This new upscale complex is nestled in the Agathias Palekastro region of Sitia overlooking the beaches of Kouremenos and Chionia and very close to the famous VAI palm tree forest. Five suites have been carefully designed with a unique ambiance for discerning guests. Olive Coast suites are located far enough to be uniquely tranquil, yet close enough to some wonderful sites for excursions. The village of Agathias has some quaint places to eat just steps away. Villa Doro is a 7-bedroom luxury, seafront villa located in the picturesque coastal location of Tersanas on the Akrotiri Peninsula, only 15 km from Chania, the 2nd largest city in Crete and 1200 meters from the nearest sandy beach of Tersanas. It sits idyllically in front of the sea and spreads on a seafront plot of 3000 m2, offering guests the utmost in privacy with uninteruptable, spectacular sea views. There is even a private path down to the sea. Villa Chryssi is also only about 1.5 km from the sandy beach of Stavros (famous for having been the location for the filming of Zorba the Greek). “Casa Vitae” is a renovated old Venetian Castle house in old town Rethymno, that was built in the late 16th, early 17th century. There are eight fully renovated spacious and airy luxurious suites, reflecting the historical Venetian and Ottoman styles of their era. Open year-round, Casa Vitae provides an enchanting environment that merges the romance of its past with the traditions of Crete and the comforts of our modern times. Thalassa Villas is a luxury Villa Complex of six stylish and spacious Villas nestled graciously on a private secluded waterfront location overlooking the Mirabello Bay. They are owned and managed by St. Nicholas Bay Deluxe 5 star Resort. Each THALASSA VILLA comes with its own private seawater heated Pool, and just a few steps from its own peaceful private garden terrace. Stone pathways are leading down to the sea below for swimming off the rocks. Avli Lounge Apartments are 7 luxury suites in a restored Venetian building in the heart of old town Rethymno. They are housed in 2 buildings a few meters from each other, above the famous Avli Restaurant-one of the best on the island. Each plush, ultra-chic suite is uniquely designed with its own color scheme, complete with matching and often period furniture & furnishings for that added romantic touch. Lots of exposed stone walls and wooden beams/floors recreate the feeling of a bygone era. Mourtzanakis Residence are four cosy, comfortable villas open year-round, in a tranquil setting nestled in the hills with panoramic views to the medieval village of Achlada, the bustling village of Agia Pelagia and the sea beyond. The residence is surrounded by breathtaking scenery with enthralling sunsets. New 3-bedroom villa Emilia is perched on one of the highest hills of the Akrotiri overlooking Kalathas beach with unobstructed sea views and amazing sunsets. Villa Emilia proudly boasts the luxury that characterizes it in its interior and exterior architecture. Its private swimming pool, spacious outdoor spaces and unobstructed sea views place it among our customers’ first choice. Located in one of the most beautiful, unspoiled areas of Southern Crete is the new complex of 2 charming 2-bedroom villas with superb panoramic views to the Libyan Sea. The villas have been built to high standards with quality furnishings and fittings. 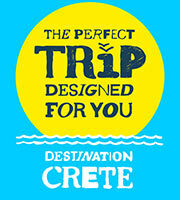 The beach of Triopetra, one of the best in Crete is only 2 km from the villas.